"Texas Prepares to Execute A Man Who Killed No One" was first published by The Texas Tribune, a nonprofit, nonpartisan media organization that informs Texans — and engages with them — about public policy, politics, government and statewide issues. A small-town Texan, Danny Wood is quick to tell you he’s not against the death penalty — but he doesn’t think the state should execute his son. After all, Jeff Wood never killed anyone. Early on Jan. 2, 1996, Jeff Wood sat in a truck outside a Kerrville gas station while his friend Daniel Reneau went inside to steal a safe said to be full from the holiday weekend, according to court documents. When the clerk, Kriss Keeran, didn’t comply or respond to threats, Reneau shot him dead. Reneau was sentenced to death and executed in 2002. On Aug. 24, Wood’s own execution is scheduled. He was sentenced to death under Texas’ felony murder statute, commonly known as the law of parties, which holds that anyone involved in a crime resulting in death is equally responsible, even if they weren't directly involved in the actual killing. Activists and Wood’s lawyers are scrambling to try to stop his execution. A rally was held at the governor’s mansion last month, and a petition was sent to the Texas Board of Pardon and Paroles asking the board and Gov. Greg Abbott to commute Wood’s sentence to life in prison. And a new, 100-page appeal was filed last week in state district court and the state Court of Criminal Appeals requesting a new sentencing hearing. In the current efforts to keep Wood out of the death chamber, however, the law of parties plays only a small role. Tyler and Wood’s other lawyers are focusing their appeals on his mental competence and, more recently, testimony from a highly criticized psychiatrist nicknamed “Dr. Death” who predicted in Wood’s sentencing hearing that he would be a future danger in prison. Wood and Reneau became friends shortly before the murder and lived in a trailer within walking distance of the Texaco that was robbed, according to Wood’s latest appeal. The two often visited the store and became friendly with Keeran and the assistant manager, William Bunker. The four discussed stealing the safe, and Bunker suggested doing it the day after the holiday weekend. He later testified he didn’t take the planning seriously. Reneau and Wood did, though. And when Keeran made clear that he wouldn’t help them, things got complicated. According to Nadia Mireles, Wood’s then-girlfriend, Wood told Reneau to leave his gun at home the morning of the murder. She said Reneau put the gun down, but picked it back up when Wood left the room. Her testimony was not included in Wood’s trial, but it was in Reneau's. Prosecutors argued Wood knew Reneau would kill Keeran if he didn’t cooperate with the robbery. If true, that would make him guilty of capital murder under the law of parties, which states that a person can be charged with a crime he didn’t commit if he “should have anticipated it as a result” of another crime. In taped interrogations after his arrest, Wood initially “downplayed” his knowledge of Reneau’s plan to kill Keeran, according to a district court opinion. He later said he knew of the plan but was still surprised by the shooting. After he heard the shooting, Wood entered the store, and he and Reneau removed the VCR, the security footage and the safe. Kerr County decided to seek the death penalty for both Reneau and Wood in Keeran’s death — a rare move. The Death Penalty Information Center has confirmed 10 cases — five from Texas — in which a person was executed under state felony murder statutes such as Texas’ law of parties. That’s less than 1 percent of all executions since 1976, when the death penalty was reinstated in the United States. In Wood’s case, his attorneys say death is “disproportionate” to his involvement in the murder — that the death penalty is supposed to be for the worst of the worst. Nearly 50 evangelical leaders from around the country agreed and asked Abbott and the parole board to stop the execution. Danny Wood doesn’t believe his son fits into the category of convicts who qualify for death; he thinks the state has wronged him and his family. “For 20 years, it’s cost me a son,” he said through tears, adding that he hopes the board and the governor will commute the sentence. The board said it could not comment on the recent petition. Abbott's office did not respond to a request for comment. Wood narrowly escaped a previous execution date set in August 2008, when a federal district court issued a stay so Wood could argue claims that he was mentally incompetent to be executed. The parole board and then-Gov. Rick Perry declined to commute Wood’s sentence. After the competency hearing, the federal district court issued a critical, 93-page opinion claiming Wood was “manipulative,” and his story of a conspiracy to sentence him to death was a “deliberate ploy” to avoid his sentence. “No one disputes that [Wood] disagrees with the public policy underlying the Texas law of parties,” the court said in its opinion, adding that that doesn’t make him delusional or incompetent to be executed. In his most recent appeal, Wood’s lawyers also now claim he should receive a new sentencing hearing because of one of the expert witnesses in his original trial. Dr. James Grigson, nicknamed “Dr. Death” because of how often he testified for the state in capital murder trials, lied to jurors about how many cases he has testified on and how often he found the convict to be a future danger, the appeal says. In 1995, the American Psychiatric Association’s Board of Trustees voted to expel Grigson after an investigation revealed that Grigson’s method of predicting future dangerousness in capital cases violated the association’s practice. Since Grigson didn’t disclose this, Wood’s lawyers claim he misled the jury. Three jurors from Wood’s trial have said they would have discounted Grigson’s testimony if they’d known of the expulsion, according to the appeal. For now, Danny Wood and his wife, along with other supporters, prepare to make the trip to Huntsville on Aug. 24. He said he will be outside, but he would only watch the actual execution if his son asks. “I will be there when it happens, but to view it,” he trailed off, choking back a sob. “We’ll honor his wishes whichever way it goes." Texas Prepares to Execute A Man Who Killed No One By Jolie McCullough August 11, 2016 A small-town Texan, Danny Wood is quick to tell you he’s not against the death penalty — but he doesn’t think the state should execute his son. After all, Jeff Wood never killed anyone. Early on Jan. 2, 1996, Jeff Wood sat in a truck outside a Kerrville gas station while his friend Daniel Reneau went inside to steal a safe said to be full from the holiday weekend, according to court documents. When the clerk, Kriss Keeran, didn’t comply or respond to threats, Reneau shot him dead. Reneau was sentenced to death and executed in 2002. On Aug. 24, Wood’s own execution is scheduled. He was sentenced to death under Texas’ felony murder statute, commonly known as the law of parties, which holds that anyone involved in a crime resulting in death is equally responsible, even if they weren't directly involved in the actual killing. Activists and Wood’s lawyers are scrambling to try to stop his execution. A rally was held at the governor’s mansion last month, and a petition was sent to the Texas Board of Pardon and Paroles asking the board and Gov. Greg Abbott to commute Wood’s sentence to life in prison. And a new, 100-page appeal was filed last week in state district court and the state Court of Criminal Appeals requesting a new sentencing hearing. “I’m not aware of another case in which a person has been executed with as minimal participation and culpability as Jeff,” said Jared Tyler, Wood’s lawyer. “It’s a national first in that regard if the state does actually execute him.” In the current efforts to keep Wood out of the death chamber, however, the law of parties plays only a small role. Tyler and Wood’s other lawyers are focusing their appeals on his mental competence and, more recently, testimony from a highly criticized psychiatrist nicknamed “Dr. Death” who predicted in Wood’s sentencing hearing that he would be a future danger in prison. “I’m not aware of another case in which a person has been executed with as minimal participation and culpability as Jeff.”— Jared Tyler, Wood's attorney Wood and Reneau became friends shortly before the murder and lived in a trailer within walking distance of the Texaco that was robbed, according to Wood’s latest appeal. The two often visited the store and became friendly with Keeran and the assistant manager, William Bunker. The four discussed stealing the safe, and Bunker suggested doing it the day after the holiday weekend. He later testified he didn’t take the planning seriously. Reneau and Wood did, though. And when Keeran made clear that he wouldn’t help them, things got complicated. According to Nadia Mireles, Wood’s then-girlfriend, Wood told Reneau to leave his gun at home the morning of the murder. She said Reneau put the gun down, but picked it back up when Wood left the room. Her testimony was not included in Wood’s trial, but it was in Reneau's. Prosecutors argued Wood knew Reneau would kill Keeran if he didn’t cooperate with the robbery. If true, that would make him guilty of capital murder under the law of parties, which states that a person can be charged with a crime he didn’t commit if he “should have anticipated it as a result” of another crime. In taped interrogations after his arrest, Wood initially “downplayed” his knowledge of Reneau’s plan to kill Keeran, according to a district court opinion. He later said he knew of the plan but was still surprised by the shooting. “I was hoping [Kriss] would give up the money because he said he would,” Wood said in his interrogation. “We had planned it, but it was a surprise, a surprise that he did shoot him.” After he heard the shooting, Wood entered the store, and he and Reneau removed the VCR, the security footage and the safe. Kerr County decided to seek the death penalty for both Reneau and Wood in Keeran’s death — a rare move. Jeff WoodTDCJ The Death Penalty Information Center has confirmed 10 cases — five from Texas — in which a person was executed under state felony murder statutes such as Texas’ law of parties. That’s less than 1 percent of all executions since 1976, when the death penalty was reinstated in the United States. Critics of the law of parties say the state shouldn’t be allowed to execute people who never killed anyone. At the recent rally protesting Wood’s upcoming execution, activists wore T-shirts with pictures of Wood reading “Punish action. Not affiliation.” In Wood’s case, his attorneys say death is “disproportionate” to his involvement in the murder — that the death penalty is supposed to be for the worst of the worst. Nearly 50 evangelical leaders from around the country agreed and asked Abbott and the parole board to stop the execution. “As the getaway driver, Wood committed a crime, but not one deserving the death penalty,” the group said in a letter. 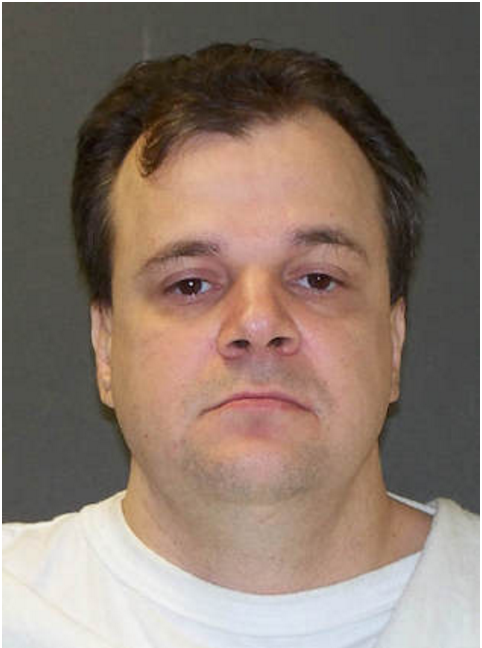 “The death penalty, we are told, is reserved for the most egregious crimes.” Keeran’s own father, who originally wished for Reneau and Wood to be executed, changed his mind after Reneau’s execution, according to the Dallas Morning News. Charles Keeran said living in prison is a better punishment, that death was the “easy way out.” Danny Wood doesn’t believe his son fits into the category of convicts who qualify for death; he thinks the state has wronged him and his family. “For 20 years, it’s cost me a son,” he said through tears, adding that he hopes the board and the governor will commute the sentence. His story of a conspiracy to sentence him to death was a “deliberate ploy” to avoid his sentence.— Federal district court opinion The board said it could not comment on the recent petition. Abbott's office did not respond to a request for comment. Wood narrowly escaped a previous execution date set in August 2008, when a federal district court issued a stay so Wood could argue claims that he was mentally incompetent to be executed. The parole board and then-Gov. Rick Perry declined to commute Wood’s sentence. After the competency hearing, the federal district court issued a critical, 93-page opinion claiming Wood was “manipulative,” and his story of a conspiracy to sentence him to death was a “deliberate ploy” to avoid his sentence. “No one disputes that [Wood] disagrees with the public policy underlying the Texas law of parties,” the court said in its opinion, adding that that doesn’t make him delusional or incompetent to be executed. In his most recent appeal, Wood’s lawyers also now claim he should receive a new sentencing hearing because of one of the expert witnesses in his original trial. Dr. James Grigson, nicknamed “Dr. Death” because of how often he testified for the state in capital murder trials, lied to jurors about how many cases he has testified on and how often he found the convict to be a future danger, the appeal says. In 1995, the American Psychiatric Association’s Board of Trustees voted to expel Grigson after an investigation revealed that Grigson’s method of predicting future dangerousness in capital cases violated the association’s practice. Since Grigson didn’t disclose this, Wood’s lawyers claim he misled the jury. Three jurors from Wood’s trial have said they would have discounted Grigson’s testimony if they’d known of the expulsion, according to the appeal. For now, Danny Wood and his wife, along with other supporters, prepare to make the trip to Huntsville on Aug. 24. He said he will be outside, but he would only watch the actual execution if his son asks. “I will be there when it happens, but to view it,” he trailed off, choking back a sob. “We’ll honor his wishes whichever way it goes." "Texas Prepares to Execute A Man Who Killed No One" was first published at by The Texas Tribune, a nonprofit, nonpartisan media organization that informs Texans — and engages with them — about public policy, politics, government and statewide issues. Link back to the original article, which is located at https://www.texastribune.org/2016/08/11/texas-plans-execute-jeff-wood-who-never-killed-any/.